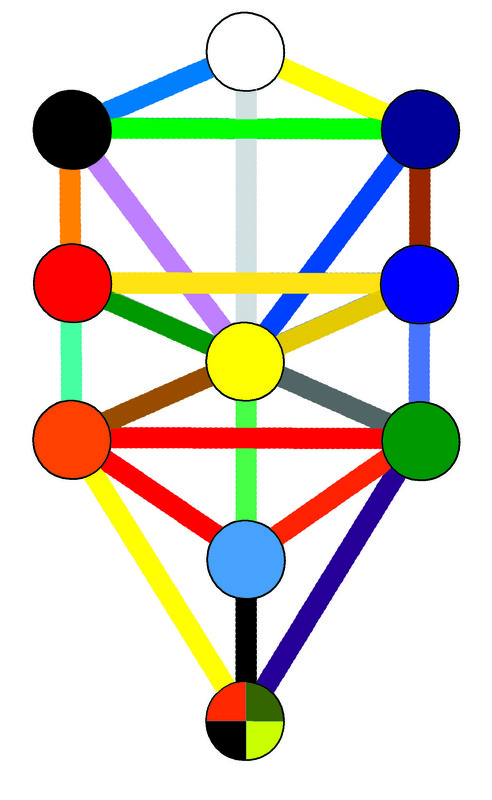 The Tree of Life is an arrangement of ten interconnected spheres (called sephiroth, Hebrew for ‘spheres’), which represent the central organizational system of the Jewish Kabbalistic tradition. The Tree of life is considered to be a map of the universe and the psyche, the order of the creation of the cosmos, and a path to spiritual illumination. The ten spheres represent the ten archetypal numbers of the Pythagorean system; they are connected by paths assigned to the twenty two letter-numbers of the Hebrew alphabet. Atziluth, the realm of the supernal, beyond which is the ain, or no-thing. Beriah, the creative world, of archetypes and ideals. Yetsirah, the world of formation. Assiah, manifest creation, the material world. A great The Rosicrucian Roots of Modern Witchcraft Cults,used in many Magickal group’s. Hey I saw this in Frank Ocean’s music video for Pyramid. The Life; the organic movement, the archetype exists in the living form. Create is easy, to be responsible for ones creations is hard. The irresponsible creation leads to suffering; the pain for making the world ugly.